A pioneering technology company is set to extend its international reach by exploiting potential growth areas in the telecommunications market. 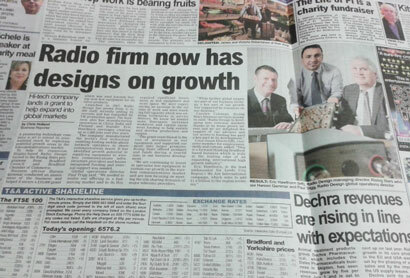 To help its expansion, Shipley-based Radio Design turned to the Rising Stars programme from Bradford Council and Bradford Chamber of Commerce. Business advisor Haroon Qammar conducted an assessment of the business and helped it secure a £10,000 grant which was used towards buying new test equipment for its latest products.